Apparel imports into the US offered surprising results in October, with five of the top ten supplier countries posting declines, including China, which fell for the third time this year. This combined with lower year-on-year performances for Honduras, Pakistan and India led to overall imports dropping. Bangladesh, however, surged with a double-digit gain. The latest figures from the Department of Commerce's Office of Textiles and Apparel (OTEXA) show the volume of US apparel imports from all sources dropped 0.04% year-on-year in October, compared to a 4.8% increase in September. Imports amounted to 2.47bn square metre equivalents (SME), down slightly from 2.47bn SME in October last year. Breaking it down into individual supplier countries, five of the top ten recorded declines. Shipments from China – the largest supplier of apparel to the US – fell 5.3% to 1.06bn SME, marking the country's third decline this year, after it posted a 7.8% fall for January and a 12% drop for April. Other countries to weigh on overall results were Honduras, which recorded the largest drop at 9.5% to 98bn SME, followed by Mexico (down 8.8% to 75m SME), Pakistan (down 2.5% to 55m SME), and India (down 2.2% to 83m SME). However, China's nearest rival Vietnam saw growth of 4.7% to 280m SME, compared to the same month last year. Bangladesh, which is ranked number three in the top ten league table, saw apparel shipments surge 36.4% to 175m SME. The remaining winners, meanwhile, included El Salvador, which booked the second highest growth at 9.5% to 55m SME, Cambodia (up 3.05% to 96m SME), and Indonesia (up 1.14% to 118m SME). While there are concerns that increasing wages are undermining the competitiveness of China's garment production on the world stage, and that growth is slowing, the country continues to lead the way when it comes to efficiency and infrastructure. China remains a compelling source for apparel buyers as rising prices are largely being offset by productivity gains. With its 10,916 garment manufacturers with annual sales above CNY20m churning out 29.6bn pieces in 2014, up 1.6% year-on-year, no country can match China in terms of the size of its supply base, its range of skills, its quality levels, its product variety and the completeness of its supply chain. However, the falling value of the Chinese yuan is being seen as a lever for US brands and retailers to drive down product costs, with one analyst describing it as a "tailwind for those sourcing apparel from China". The flipside for retailers and brands shipping in goods to sell in China is to take a hit on margin or increase the price of their products. Data released last month also shows the overall weakening of China's manufacturing industry has slowed down, prompting hopes the government's stimulation efforts are starting to take effect. The government is using a catchy English-language TV ad to promote its 13th Five-Year Plan. 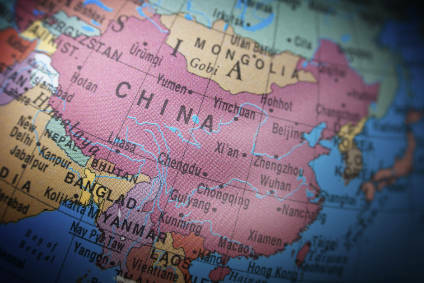 But one industry observer has questioned whether the Plan really tells us how garment-making in China will be affected. Vietnam, meanwhile, has benefited as producers and buyers diversify their supply chains, helped by its low labour costs and its industry focus on specialisation, modernisation, and increasing value added. Foreign direct investment continues to flow into the country, and the recent conclusion of negotiations on the Trans-Pacific Partnership (TPP) trade agreement means Vietnam may benefit significantly. Luen Thai Holdings is the latest company to boost its business in Vietnam, announcing in August it will continue to devote resources and efforts in its Vietnam projects. The Vietnam Textile and Apparel Association (Vitas) is confident the country's garment and textile exports will grow on average by 11.5% per year to 2020, maintaining steady growth. Bangladesh's clothing industry continues to build on its momentum as a low-cost sourcing destination, despite factory safety issues. Since the collapse of the Rana Plaza building in April 2013, two major industry-backed remedial plans, together with one supported by the government, have worked to resolve issues over safety and worker rights, including the closure of some garment factories. The country is now working to achieve its goal of doubling exports to $50bn by 2021, but will need to address a number of challenges first, its garment manufacturing association has said. A new training initiative recently launched to strengthen workplace cooperation in the country's ready-made garment (RMG) sector. Cambodia's apparel industry is the country's largest manufacturing sector, despite being blighted by strikes, wage disputes, and factory faintings. Garment manufacturers have called for a renewed focus on productivity in the sector ahead of a 9.4% rise in the minimum wage for clothing workers to US$140 per month agreed for the beginning of next year. They are also urging buyers to increase their prices for Cambodian goods. A national campaign to push multinational brands to pay suppliers a minimum wage of $177m kicked-off last month. In September, construction of a specialised training institute for the country's garment workers got underway in Phnom Penh. It will train local workers to fill middle management positions in factories across the country, and offer vocational training programmes such as specialised design and pattern making courses, with the costs paid by employers. While monthly trade data is often volatile, with big swings from one month to the next, a broader view of the year so far shows total US apparel and textile imports increased 7.71% between January and October to reach 54.03bn SME from 50.16bn SME last year. Within this, textiles grew 9.05% to 30.82bn SME, while apparel shipments were up 5.99% to 23.22bn SME. All but two of the top-ten apparel supplier countries booked growth. Movement within the top three during the ten months shows China rose 5.7% to 9.76bn SME, Vietnam grew 14% to 2.66bn SME, and Bangladesh increased 15.9% to 1.61bn SME. The other winners included India (up 6.2% to 881m SME); Cambodia (up 4% to 911m SME); Honduras (up 2.2% to 935m SME); El Salvador (up 3% to 685m SME); and Pakistan up 0.07% to 503m SME. Mexico, however, saw apparel shipments drop 1.5% to 768m SME, while Indonesia's shipments were down 0.3% to 1.08bn SME.